Like any other pest, bed bugs go through multiple stages of development before reaching adulthood. 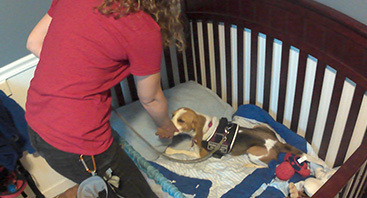 Regardless of what developmental stage they are in, canine bed bug detection has many advantages over human inspections. If you are concerned that you have bed bugs in your residential or commercial property, Advanced K9 Bed Bug Seekers is here to help. 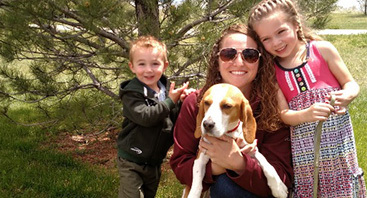 We are your Top Rated Local® bed bug detection agency in Denver, and we would love to perform a bed bug inspection for you with our dog, Tracker. Call us at 720-251-2665 or schedule your appointment online now! In the meantime, read on to learn more about the life cycle of this troublesome pest and the advantages of using bed bug dogs in detection. Adult bed bugs typically live anywhere between seven to 10 months. They begin as tiny eggs and go through several nymph stages before turning into adults. in in about six to 10 days. Before they turn into adults, bed bugs go through five different nymph stages, growing all the while. They will take a blood meal and then molt, shedding their casings each time. They start off as tiny, yellow first-stage nymphs and develop into larger, red adults. Adult bed bugs take repeated blood meals over the course of several weeks. They are usually around 5.5 millimeters long, with the females being slightly smaller than the males. If they have recently fed, they will be bright red in color. Otherwise, they are a dull red shade. Although they take frequent blood meals, adult bed bugs can live without feeding for up to a year! Efficient and accurate detection. Bed bug dogs can complete a thorough inspection within a matter of minutes, and they detect live bed bug pheromones with more than 90-percent accuracy. Early detection. This efficiency and accuracy lead to earlier detection of infestations, and infestations are much more manageable and easy to treat when discovered in their early stages. Reputation management. When you own a commercial property, it only takes one bed bug to ruin your reputation. Efficient and accurate detection provided by bed bug dogs could save your reputation. Are you worried that you have a bed bug infestation in your Denver-area home or business? If so, then it is important to contact a local bed bug inspection team right away. 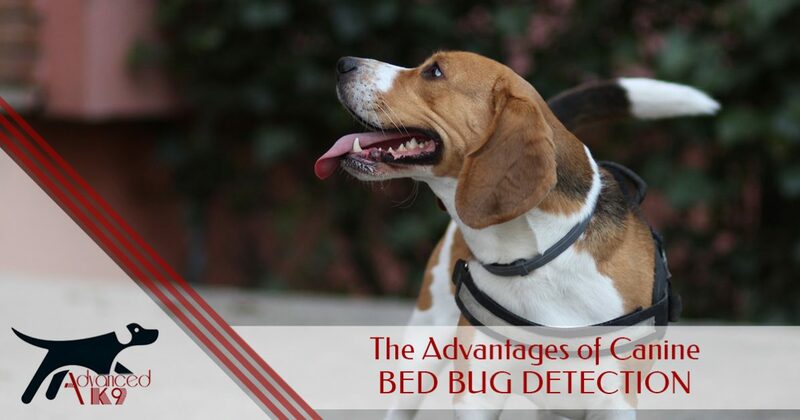 Early detection is key to effective extermination and prevention, and Advanced K9 Bed Bug Seekers would love to help you rest easy knowing that your property is bed bug-free. Contact our company today to get started!